BMW iVision Future Interaction concept car! 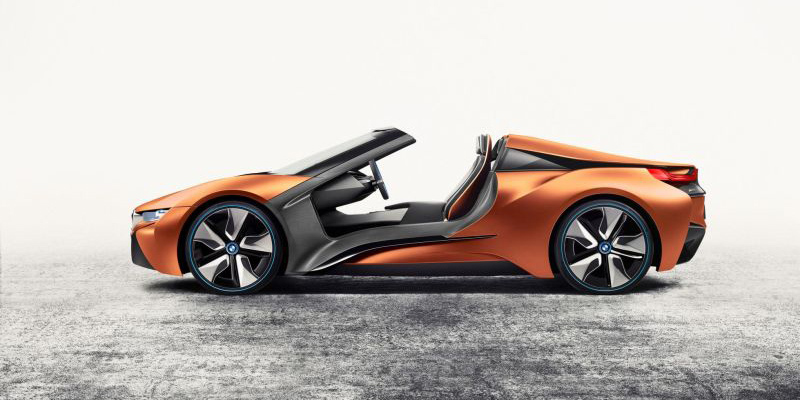 BMW unveiled the iVision Future Interaction concept car at CES giving every motorhead his ultimate super car. 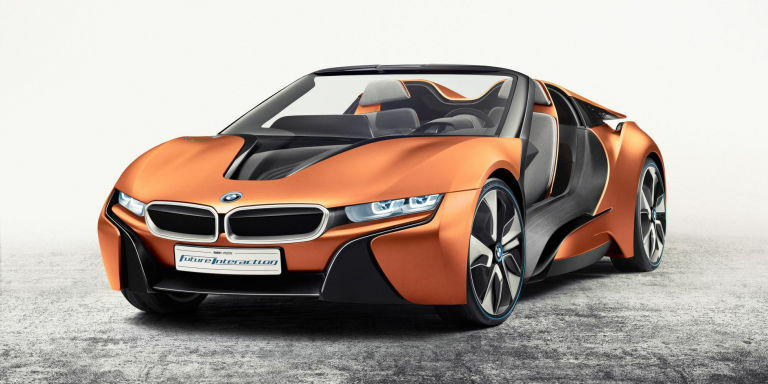 The new BMW is an evolutionary version of the BMW i8 Spyder that first appeared in 2012. The iVision concept is planned to give passengers the ultimate driving pleasure while the car is in autonomous mode. It can even read your hand gestures so you don’t have any button to control while the steering wheel pulls back so you can have more room to chill. 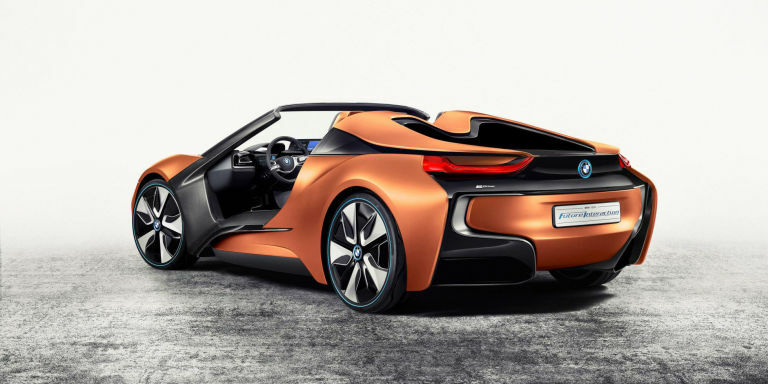 The ride of the future comes in a roofless and doorless edition featuring a 21-inch screen on the passenger side. The large screen allows the driver to Facetime while the car is driven autonomously and to easily switch to audio-only, when he is driving the i8 beast! 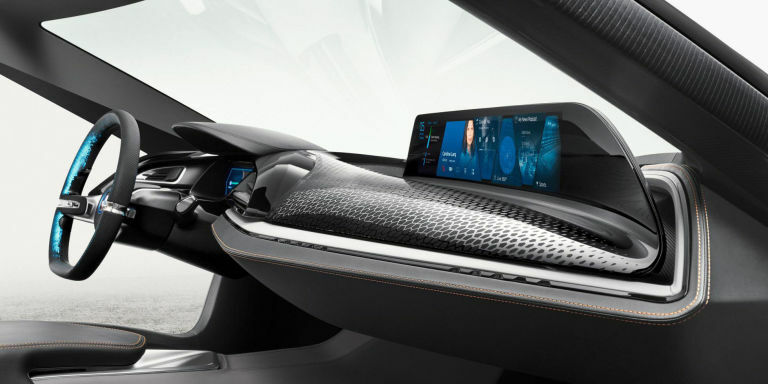 The new BMW iVision Future interaction concept defines the car of the future with all its courtesy and advanced features, giving all motorheads something to look forward too! For more concept cars stay tuned toWheelers.me!